Prize-worthy shine. 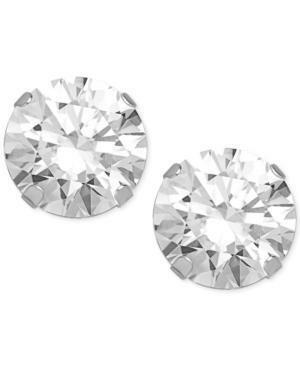 These eye-catching stud earrings flaunt a round-cut Swarovski zirconia (5-5/8 ct. t.w.) set in 14k white gold. Approximate diameter: 1/3 inch. Halo Earrings In 14k White Gold, .50 Ct. T.w.